In our last 4-Points Broadcast, we left off our discussion talking about the force of energy inherent in our thoughts. We talked about how to harness the power of that energy by understanding the law of protocol. We’d love your help. Let us know what’s wrong with this preview of History Maker by Cindy Trimm. We’d love your help. Let us know what’s wrong with this preview of Reclaim Your Soul by Cindy Trimm. We’d love your help. Let us know what’s wrong with this preview of The Prayer Warrior's Way by Cindy Trimm. We’d love your help. Let us know what’s wrong with this preview of PUSH by Cindy Trimm. We’d love your help. Let us know what’s wrong with this preview of The Rules of Engagement by Cindy Trimm. We’d love your help. Let us know what’s wrong with this preview of Commanding Your Morning Daily Devotional by Cindy Trimm. We’d love your help. Let us know what’s wrong with this preview of The Art of War for Spiritual Battle by Cindy Trimm. We’d love your help. 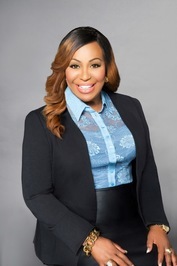 Let us know what’s wrong with this preview of The 40 Day Soul Fast by Cindy Trimm.